Changing careers can be nerve-wracking. Sometimes it happens gradually, as you learn new skills or take on some new responsibilities in your current job (or take on a side hustle or two). Other times it might happen suddenly: you lose your job and decide to dive into something new. My own career path has been a combination of those 2 paths. Years ago, I went from part-time designer/developer (with other sales and marketing responsibilities) to full-time tech blogger (and freelance designer/developer on the side) when the publishing company I worked for closed. I took the side hustle I’d been doing for a few months and turned it into a full-time gig. 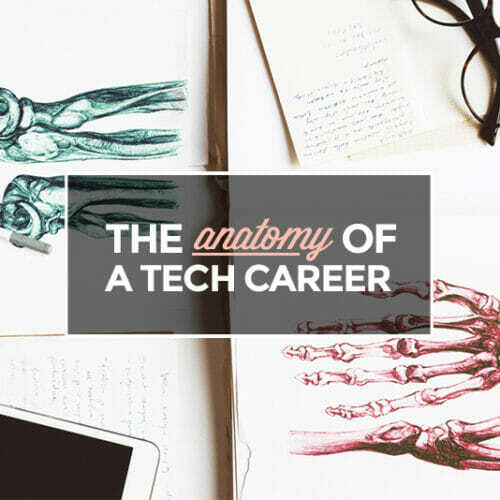 But whether you’re making a more gradual change or jumping to a new career cold turkey, if you’re brand new to tech, you’re probably going to be starting at a junior level. The great news about that is that in tech, even “beginner” and “junior” jobs are pretty awesome. They pay well, you’re doing work that matters, and there’s TONS of room for growth. 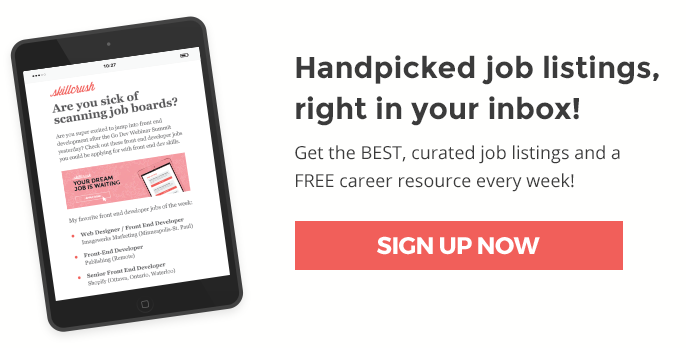 If you want to get great new jobs delivered to your inbox every week, be sure to sign up for our tech jobs newsletter! We’ll send you five hand-picked jobs spanning a range of roles in tech each week! Web developers write the code that makes a website work. 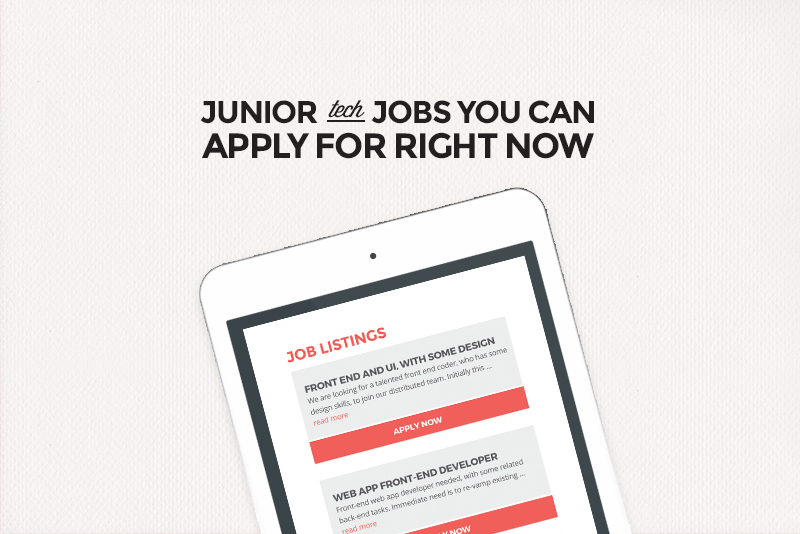 While there are web developer job openings at virtually all levels within a company, junior developers are those who are just getting started in the industry, usually with less than three years of experience. While web developers write the code for a website, web designers are responsible for the look and feel of the website—from the colors and images to the fonts and layouts. Some web designers do more than just design, though. They also do some basic coding, particularly with HTML and CSS. Content marketing is a huge part of any modern tech business. 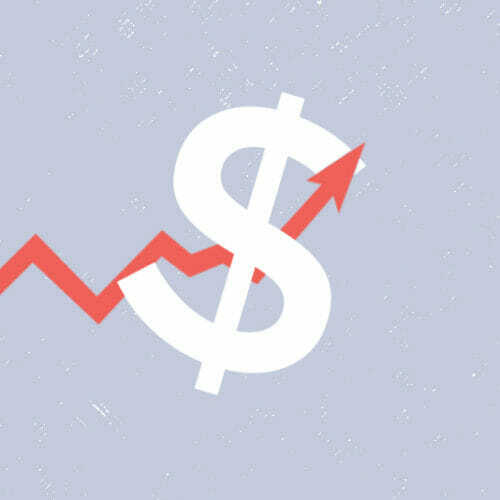 Whether it’s an early stage startup or an established company like Facebook, marketing via social media, blogging, search and social advertising, email marketing, partnerships, and SEO is a key part of any business. Data analysts take data and turn it into usable information, which can then be used to formulate strategies and make business decisions. At the associate or assistant level, data analysts may work with website and marketing analytics to pull relevant data for reports. They may also spend time drawing conclusions from that data that is used by others in the organization for making decisions. Customer support can be an amazing way to get your foot in the door in tech, since a lot of people have experience outside of tech that applies to the role. Customer support at a tech company includes a lot of problem-solving and making customers happy. 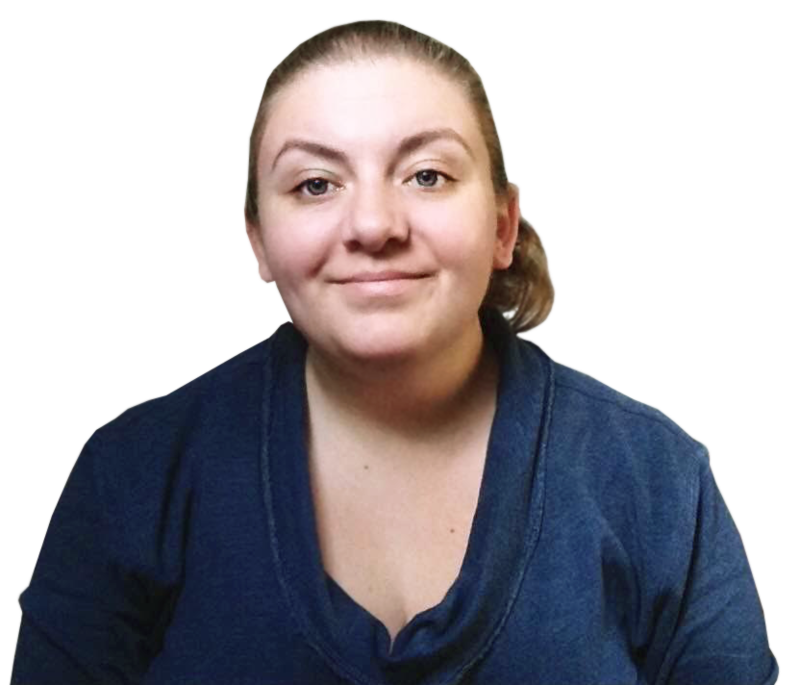 Many of your support requests will be when people are running into problems using your company’s product or service, and need help figuring out how to fix those problems. Customer support employees need to be familiar with the product that their company sells, first and foremost. That might mean needing to be familiar with how the code works, or it might just mean understanding how the user interface works. 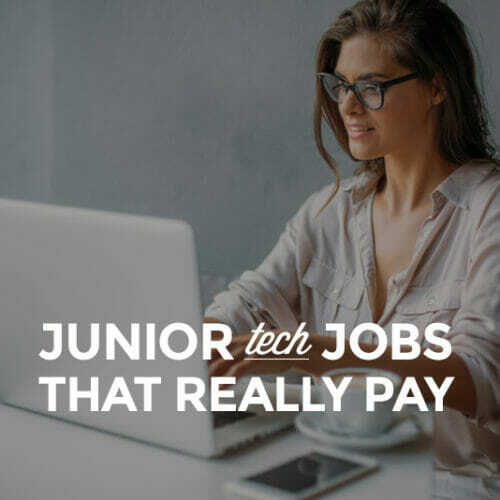 Either way, some coding chops certainly won’t hurt your chances at landing one of these jobs. Visual designers are similar to web designers, but their focus is broader. They’re involved in the overall brand and product design, so their work touches on websites, advertising, editorial or creative images, marketing materials, branding, logos, and more. Prev: 10 Jobs You Need to Know About When You’re New to Tech Next: Should YOU Learn WordPress? Find out in our webinar summit!